This past week, Surf Air celebrated 5 years of flying. We’ve certainly come a long way, and it’s all thanks to our amazing Surf Air Members and employees. To express our gratitude to the Surf Air family, a week-long celebration was the LEAST we could do. There were cupcakes, there were gifts, balloons, taco parties, and no shortage of champagne. Relive the fun by scrolling through the photos below, or check them out on our Facebook page. The calm before the celebration at our Surf Air lounge in Hawthorne. Celebrating 5 years of flight with tacos, mezcal, and the Surf Air prize wheel! 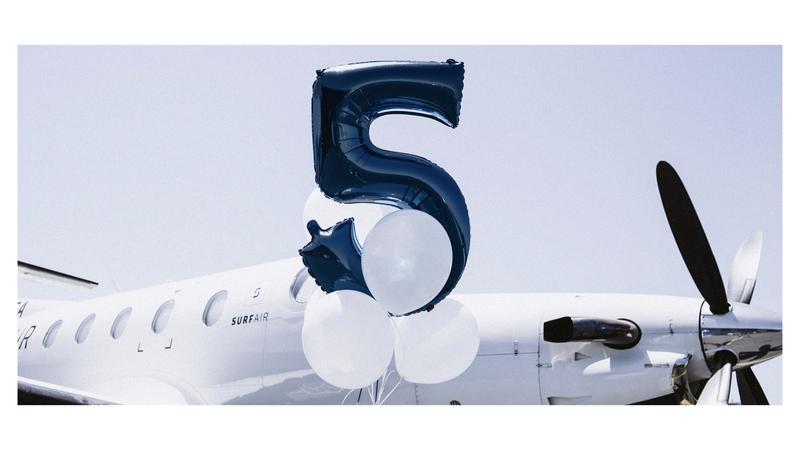 Thanks to our amazing Surf Air Members and employees, 5 years would not be possible without you. Sincerely, the Surf Air team.